One or more photo(s) has been virtually staged. Under Construction. 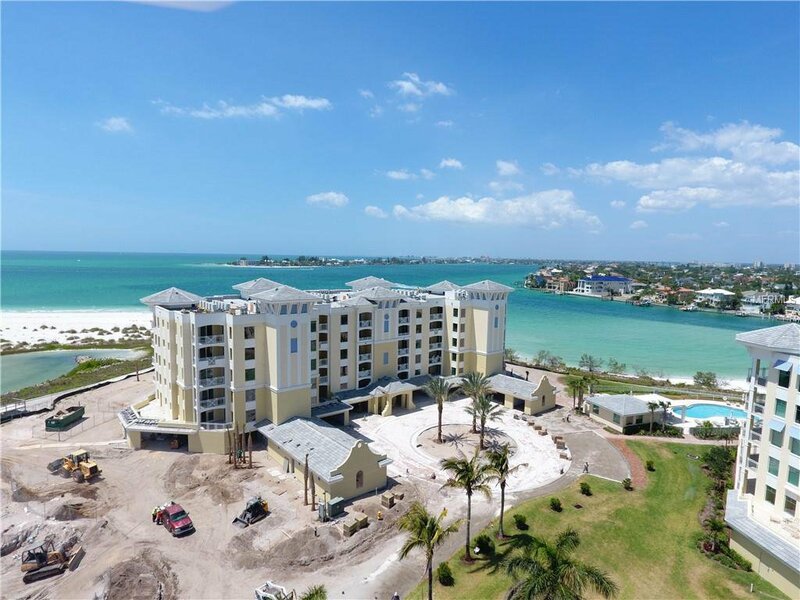 UNDER CONSTRUCTION....EXPERIENCE SUNSET POINTE at COLLANY KEY... PENTHOUSE UNIT. This exclusive gated Gulf front community is located on a deed-restricted island of Tierra Verde. Mesmerizing waterfront views, spectacular sunsets & beautiful natural settings. Adjacent to Shell Key, an 1800-acre County Preserve, one of the County's largest undeveloped barrier islands. The natural beach shoreline complements Sunset Pointe condominiums. Amenities include gated access, enclosed garage w/private air- conditioned storage room, semi-private elevator opening to your own foyer, 2 inviting balconies, designer finishes, state-of-the-art stainless appliances, covered outdoor kitchen & AC fitness room, covered sunset pavilion, kayak launch, pool/spa/fire pit. Downtown Tierra Verde is walking distance and offers a variety of restaurants & personal services. A place where you can live an understated lifestyle with all the refinements you desire & deserve. These condominiums are surrounded by breathtaking views and unspoiled natural beauty. Perfectly situated on the Gulf of Mexico. It's the one new development on the one-of-a kind island. Tierra Verde is paradise. Isla Del Sol Yacht & Country Club is 5 minutes away. For traveling, I 275 is easily accessible. Downtown St. Petersburg is only 10 minutes away. Two international airports are within 30 to 40 minutes. NEW BEACH! NEW CONDO! NEW LIFE! Listing courtesy of EQUITY CONSULTANTS INC. Selling Office: LIPPLY REAL ESTATE.